Christine Stevenson's blog about piano music, those who write it and those who play it. Planning a winter holiday on the island of Majorca? Accommodation – a deserted monastery, the Real Cartuja, in the village of Valdemossa (above). 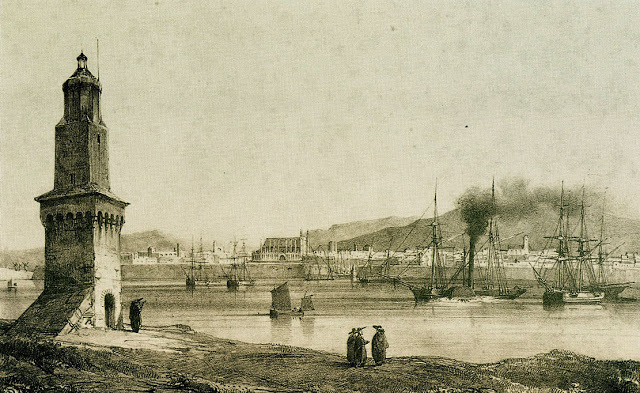 Perhaps Bach’s Preludes and Fugues wouldn’t be on your list of must-haves, but they were on Chopin’s, when he spent the winter of 1838-9 on the island in the company of George Sand and her two children. 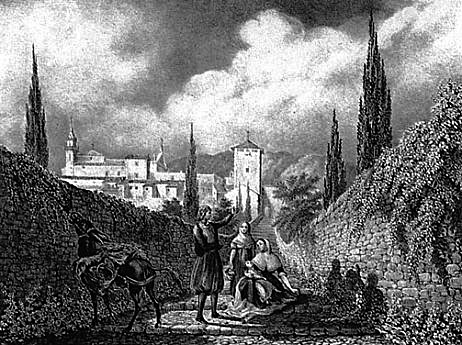 At the beginning of their relationship, Chopin and Sand left Paris separately and travelled via different routes to meet in Perpignon, and then journeyed on to Palma (below). Why go there? Why indeed, when with hindsight the devastating effect on Chopin’s health is considered. But the idea was to escape the wagging tongues of the Paris gossips, and to exchange the harsh European winter for a milder, Mediterranean climate, in view of Chopin’s ever-present cough. One of Chopin’s projects for the winter was to complete his twenty-four preludes, commissioned by the French pianist and publisher, Camille Pleyel. Perhaps Chopin took his copy of Bach’s Preludes and Fugues for inspiration, but twenty-four preludes for piano (without fugues) in all the major and minor keys following the circle of fifths had been published by composers such as Hummel in 1815, and the German Joseph Kessler in 1831, the latter set dedicated to Chopin. Chopin returned the compliment by dedicating the German edition of his own preludes – which follow the circle of fifths, unlike Bach’s Preludes and Fugues – to Kessler. The Majorcan visit is well documented by George Sand in her memoirs and in her book, ‘A Winter in Majorca’. There are letters and diaries, and even sketches by Sand’s son, Maurice. Even better – one can visit the Monastery, as I did on a cold winter’s day a few years ago. This entry was posted in The Ubiquitous Prelude and tagged Cartuja, George Sand, Preludes, Preludes (Chopin), Valdemossa. Bookmark the permalink. I wasn’t aware that Pleyel had commissioned the Préludes. I am right now dealing with Pleyel’s own clarinet concertos beautiful! !